Anderson Cooper’s yearbook photos hit the blogosphere yesterday and he is nothing short of a cutie pie. And that quotation? How sharp. I bet everyone else just had weak Grateful Dead lyrics or Emerson B.S. So last night’s 60 Minutes was pretty bitchin’. I learned about how computer hackers are rigging online poker games and got the chance to see Anderson Cooper get smoked in race against mer-man Michael Phelps. 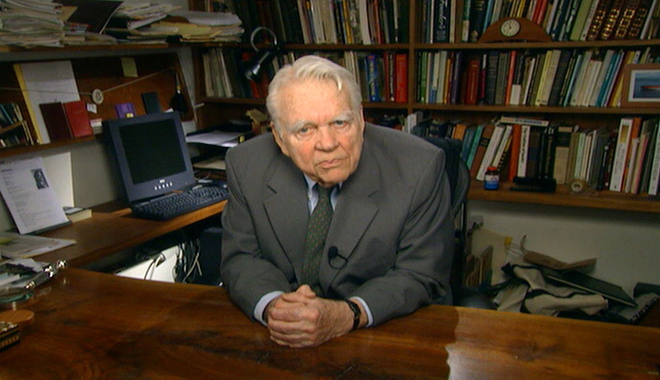 But the best part was my favorite old-man Andy Rooney. His commentary on saving money was two parts practical and three parts hilarious. His thrifty nature can be only be described as “grampa-esque.”He steals rolls, he takes the bus, he blends his own gas. It’s nothing short of adorable. Take a few minutes to indulge yourself in what has to be his best rant in years. I imagine coming out of the closet is a sensitive and highly personal issue. And as a successful news anchor at the top of his game, Anderson Cooper may not want the extra attention he’d undoubtedly get should he ever decide to discuss his sexuality. But since Cooper’s sexuality is the worst kept secret in Hollywood (though it was temporarily one-upped by that Wentz/Simpson baby) it is funny to watch others dance (not so delicately I might add) around it. Everyone’s favorite commotion-starter, Al Sharpton was on Anderson Cooper 360 last night with some other folks talking about religion and politics. In one fell swoop, Sharpton outed the newsman, sort of doomed him to hell, then forgave him. One of the other panelists also got in on the fun of talking about just where Cooper would end up in the afterlife. Ever poised, Cooper played the very awkward moment off with humor and grace. You can watch the whole thing go down right here. 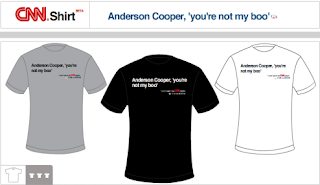 Did you guys pick up your “Anderson Cooper, you’re not my boo” t-shirts yet? No? Have no clue what I’m talking about? I need to start blogging in the morning. Take a gander here and see what all the fuss is about. Here’s hoping this hubbub puts Usher’s underrated duet with Alicia Keys, My Boo, back on heavy rotation. That was my jam!